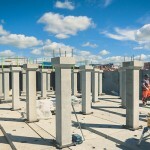 FP McCann manufactures, supplies and delivers precast concrete to the UK’s building and civil engineering sectors. They approached Pozament, Tarmac’s specialist construction products brand to help them waterproof a pioneering new storm water management system they’d developed. 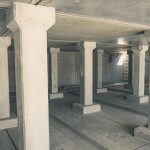 The first of its kind, StormStore™ is a bespoke, precast concrete system that offers an alternative to using plastic tanks. Storm water management systems are heavily regulated and undergo rigorous performance testing at the development stage. One of the first things we did was test the permeability of our construction grouts against the pre-cast concrete FP McCann were using. We also recommended Hydrotite should be used on all of the waterproof joints to provide a fully watertight seal. Hydrotite is a hydrophilic water stop that offers exceptional durability and water sealing capacity due to the fact it expands when it comes into contact with water. 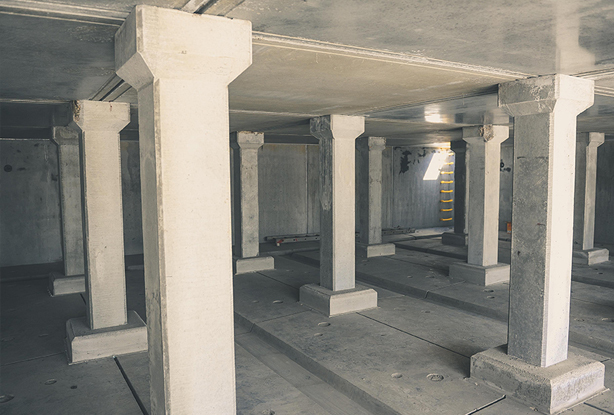 The next area we focused on were the columns, Flowing Repair Concrete was recommended for use on the column base plates in order to meet the design life of the project. 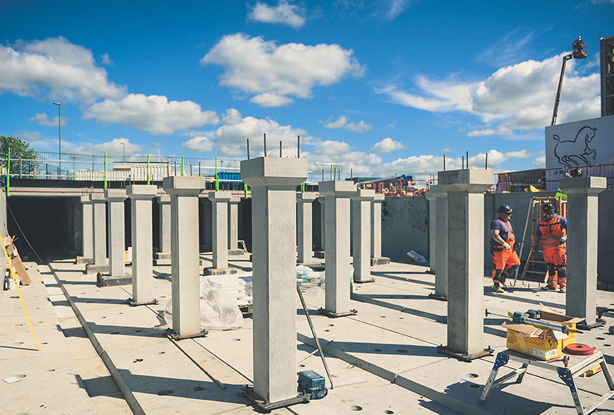 Cemthix Installation Mortar was then chosen to provide a strong bond between the vertical joints of the precast wall units. Using this product also enabled greater control to be achieved when grouting these areas. In addition to recommending the best waterproofing products, we carried out additional tests on our materials to guarantee their suitability. We also provided the client with laboratory demonstrations, gave them a tour of our plant and held regular meetings with them to ensure all parties were kept fully up to speed as the system progressed. FP McCann successfully installed its first StormStore™ system at a waste-to-energy plant in Leeds in June 2016 and is currently seeking planning permission for more StormStore™ projects throughout the UK. High Flow Construction Grout (Cemrok Easi Flow GA)A high fluidity cement based grout designed for base plate grouting and anchoring bolts. 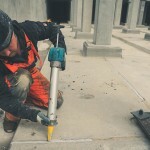 Hydrotite CJ (for Construction Joints)Hydrotite CJ has been developed as an effective, simple and economical sealing material for site formed construction joints based on the proven effectiveness of Hydrotite. 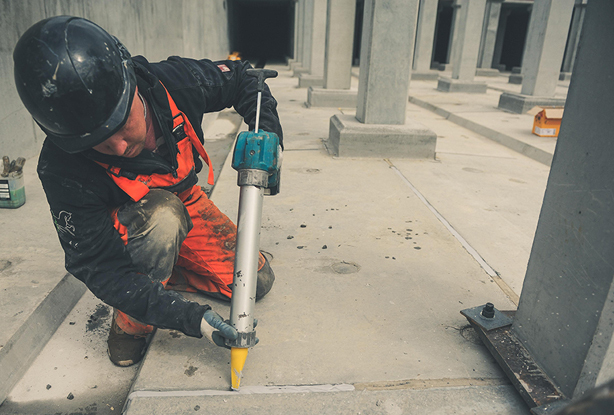 Flowing Repair Concrete CPThe Pozament range of repair materials has a successful track record for the repair of buildings, highway structures, tunnels and other infrastructure projects.